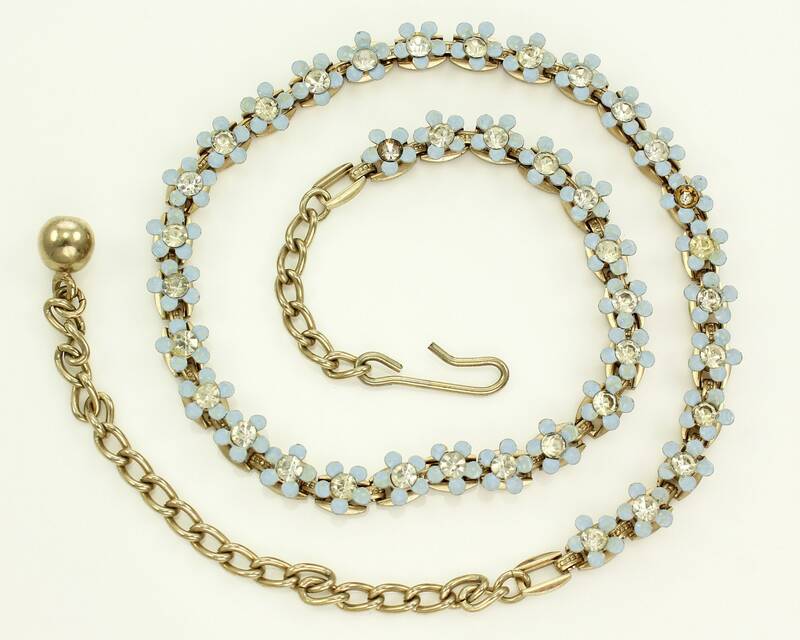 Vintage Forget Me Not Dainty Enamel Rhinestone Flower Choker Necklace. This sweet necklace would be a lovely accent for your wedding or for every day wear. The necklace features 39 delicate five petaled posies, each centered with a clear rhinestone. The necklace is finished with chain and a hook closure. 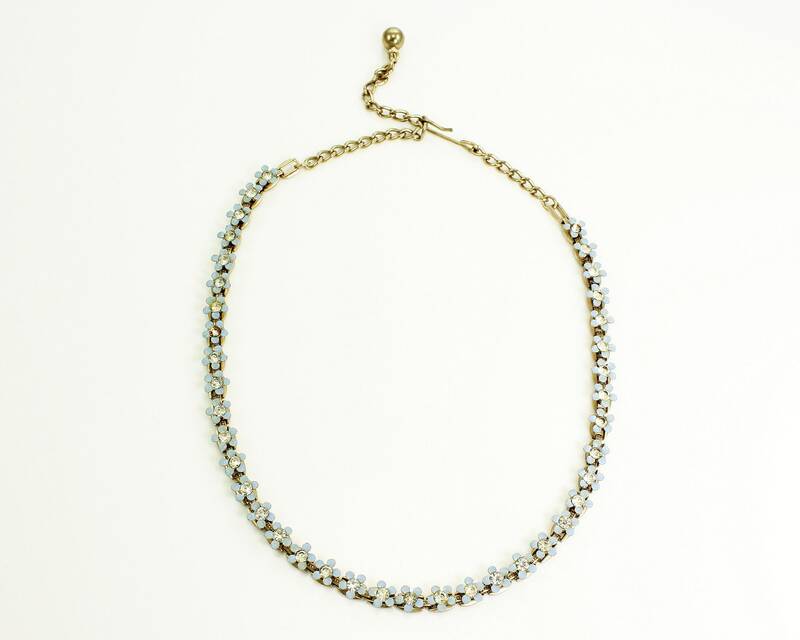 The necklace is 15” long and can be adjusted to as short as 10 ½”.